According to a recent report, Microsoft is finalizing an expanded licensing agreement which would allow them to use the "Nokia by Microsoft" brand on all their handsets. 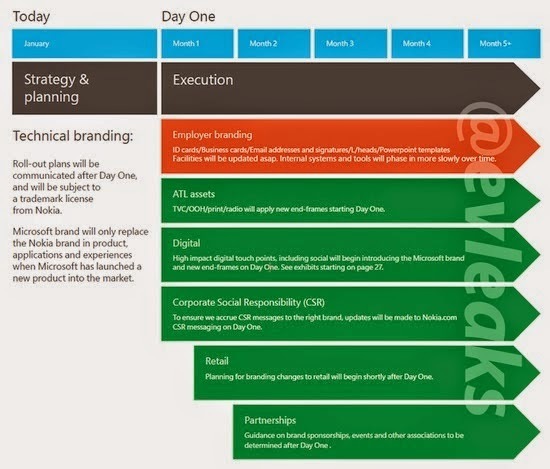 This seems to contradict a previous report on Microsoft's planned brand transition for the Nokia business. This move makes a lot of sense for Microsoft as Lumia (and hence Windows Phone) sales are concentrated in "Nokia strongholds". Any move away from the Nokia brand would have resulted in a steep sales decline. However, from previously leaked documents, it was fairly clear that Microsoft had planned to do so. So I have to wonder what caused this sudden change of heart. I can only speculate, but my guess is that Microsoft was spooked by the reaction from Nokia's strongholds. The Nokia brand still carries quite a bit of weight in regions like Europe, India and Latin America and the acquisition was viewed by many as the death of Nokia. This could have had a negative impact on consumer perception and more importantly the perception of the sales channel -- distributors will order fewer handsets if they think consumers are uninterested in non-Nokia Windows Phones. This reaction could have forced Microsoft to go back to the table and discuss an expanded licensing agreement with Nokia. Only this time around, Nokia may find itself in a better position to negotiate terms.